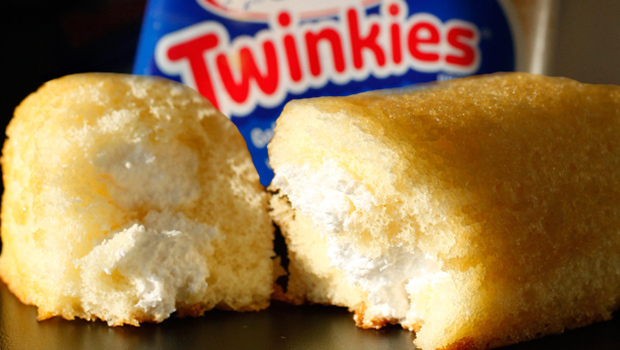 NEW YORK Hostess is moving ahead with plans to sell its Twinkies and other snack cakes after nobody stepped forward to top an offer made by two investment firms. The bankrupt company had earlier picked a $410 million joint offer from Metropoulos and Apollo Global Management as the "stalking horse" bid to set the floor for an auction. Others were then given a chance to submit competing bids and Hostess CEO Greg Rayburn had predicted the process would be "wild and wooly." But in a document filed in U.S. bankruptcy court on Monday, Hostess Brands said no other qualified offers were submitted by the bid deadline. No auction will be held as a result for the cakes, which include CupCakes, Ding Dongs and Ho Hos. A spokesman for Hostess said the company had no comment on the lack of competing bids. A representative for Apollo, whose investments include the fast-food chains Carl's Jr. and Hardee's, declined to comment on when Hostess cakes might return to shelves. A representative for Metropoulos, which owns Pabst beer, did not immediately respond to a request for comment. Hostess had also canceled an auction for its Wonder and other major bread brands after no competing offers were made. Those breads are being sold to Flowers Foods, which is based in Thomasville, Ga., and makes Tastykakes and Nature's Own bread. The final sales of the breads and Hostess snack cakes are set to be approved in Bankruptcy Court on March 19. McKee Foods, which makes Little Debbie snack cakes, was picked as the lead bidder for Drake's cakes, which include Devil Dogs, Funny Bones and Yodels. The deadline to submit competing offers for the snack cakes is Tuesday, with an auction set for Friday. Hostess stopped making its cakes and breads in late November after it announced it was going out of business and closing its plants following years of financial struggles.